What is the ROSE PROCEDURE? Some patients who have undergone Gastric Bypass surgery may experience some degree of weight regain over time. One of the possible causes may be a gradual stretching of the gastric pouch (the new small stomach pouch) and/or the stoma (the connection between the gastric pouch and the small intestine). It is believed that when the gastric pouch and/or the stoma gradually enlarge, the feeling of fullness diminishes, patients can eat larger meals, and weight regain occurs. The “ROSE” procedure, which stands for Restorative Obesity Surgery Endoscopic, is a new incision less technique using new advanced tools to reduce the size of the gastric pouch and stoma through the patient’s mouth without making any external cuts to the body. Before the ROSE incision less procedure was developed, patients who regained weight after Gastric Bypass surgery generally had few treatment options. Scarring and adhesions related to the initial Gastric Bypass procedure make open or laparoscopic revision surgery very challenging. Revision surgery procedure time is typically longer than the original bypass procedure and patients can be up to three times more likely to develop a complication following revision surgery. Therefore, most patients who regain weight after Gastric Bypass opt not to undergo open or laparoscopic surgical revision after weighing the risks and benefits. How do I find out if I’m eligible for this new incision less, restorative ROSE procedure? Patients who were initially successful in losing weight after the Gastric Bypass surgery and now find themselves regaining weight may be ideal candidates for this procedure. After an initial screening, you will undergo a series of evaluations including nutritional and dietary counseling, a full medical exam and endoscopy to determine if you are a good candidate. What does the ROSE procedure entail? The ROSE procedure is performed using a small flexible endoscope and a new EndoSurgical Operating System (EOS). The scope and the EOS instruments are inserted through the mouth into the gastric pouch the same way as a standard endoscope. Tissue anchors are used to create multiple, circumferential tissue folds around the stoma to reduce the diameter, typically to about 10mm. Dr. Gonzalez will then use the same technique to place anchors in the gastric pouch to reduce its volume capacity. After the procedure, the patient will enter the Center for Obesity Surgery’s standard bariatric surgery follow-up program of nutritional counseling and exercise, similar to the one prescribed after their original gastric bypass surgery. The ROSE procedure is performed with a new EndoSurgical Operating System (EOS) and a small flexible endoscope for visualization. The EOS consists of a long narrow access platform called the TransPort™ and specialized surgical tools (that grab tissue, hold it in place and insert anchors and sutures), all of which are cleared by the U.S. Food and Drug Administration (FDA). Dr. Gonzalez easily advances the TransPort™ into the GI tract in its flexible state, guided by the camera and light in the endoscope that is inserted into one of its four working channels. With a squeeze of the handle, the TransPort™ locks into place, conforming to the patient’s unique anatomy. Once locked in place, Dr. Gonzalez can advance the different surgical tools through its remaining three channels and then steer the end of the device freely to visualize a site and operate with efficiency and precision. The TransPort™ allows Dr. Gonzalez use both hands to manipulate and view tissue. The ROSE procedure may be performed in a Hospital Operating Room, an Outpatient Surgery Center or an Endoscopy Suite. 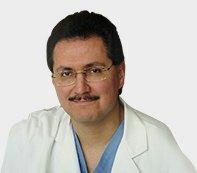 Dr. Victor Gonzalez will choose the location that is best for you and his surgical team. Typically, patients stay less than 23 hours. You may be discharged the same day if the procedure was done early in the morning, or you may stay overnight. Dr. Gonzalez will make the determination following your procedure. What are the benefits of an incision less procedure? By eliminating skin incisions, this new procedure may provide important advantages to patients, including, reduced risk of infection and associated complications, less post-operative pain, faster recovery time, and no abdominal scars. What type of side effects can I expect? It is anticipated that patients will feel little or no discomfort from the procedure. Some side effects include a sore throat, swollen tongue and lip pain from the insertion of the instruments into the mouth. As with any surgery there is risk involved. Some risks include bleeding and perforation. This less invasive approach should reduce the likelihood of many of the complications associated with the open or laparoscopic revision surgery. As with any weight loss procedure, results vary with each patient. The patients’ compliance and participation in the Center for Obesity Surgery’s comprehensive pre- and post-operative program are essential for maximal results. To date, the procedure has been well tolerated and the initial results are promising. Typically patients return to normal activity within a few days of their procedure. Dr. Victor Gonzalez will give you specific instructions. In addition, patients are asked to follow a post bariatric surgery diet and exercise plan, similar to the regimen prescribed following the initial bypass surgery. In addition, follow-up appointments with Dr. Gonzalez and regular visits with bariatric support staff will be required. As with Gastric Bypass surgery, coverage will vary depending upon the insurance provider. A specialist in Dr. Gonzalez’ office will discuss your plan with you. In the event insurance will not cover the procedure, financing options may be available. Check with the Center for Obesity Surgery for information on possible financing programs as well as potential tax advantages for any expenses you may incur. The cost for the procedure will vary depending upon where the procedure is performed, how long you stay in the facility and other factors. Dr. Gonzalez or the program coordinator will be able to give you an estimate of the total cost. Is incision less surgery just for gastric bypass restorations? This procedure is one of the first of many potential applications for Incision less Surgery. Incision less Surgery is considered the next wave in minimally invasive procedures and, in addition to obesity; it has generated interest among physicians in areas such as GERD, GI cancer and NOTES (Natural Orifice Translumenal Endoscopic Surgery).